Mobile apps have taken the business world by storm. Apps are targeted to specific interests and needs. And, can assist carrying out business tasks and networking on the go. 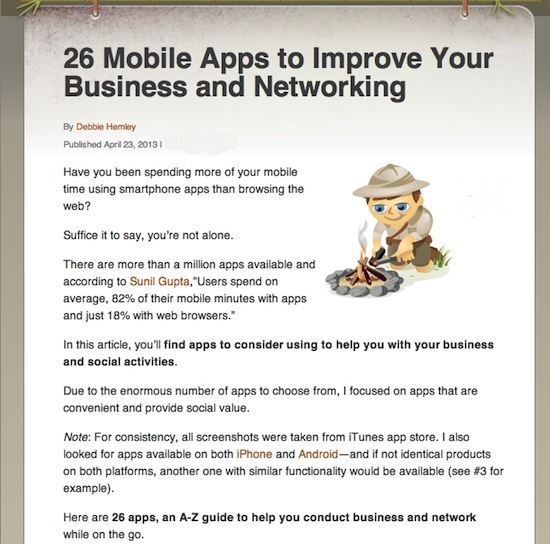 Today, I have a new article on Social Media Examiner, 26 Mobile Apps to Improve Your Business and Networking. You can read the full post there. Previous Previous post: Why 26?